What She Left is a cleverly constructed fractured timeline novel, that re-builds the life of deceased journalist Alice Salmon, using the digital footprint left by herself and those she knew. 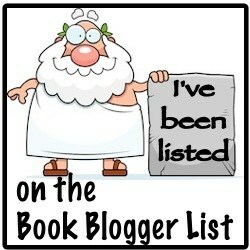 As part of his blog tour, T R Richmond writes for LifeOfCri.me about using multiple character first person narration. 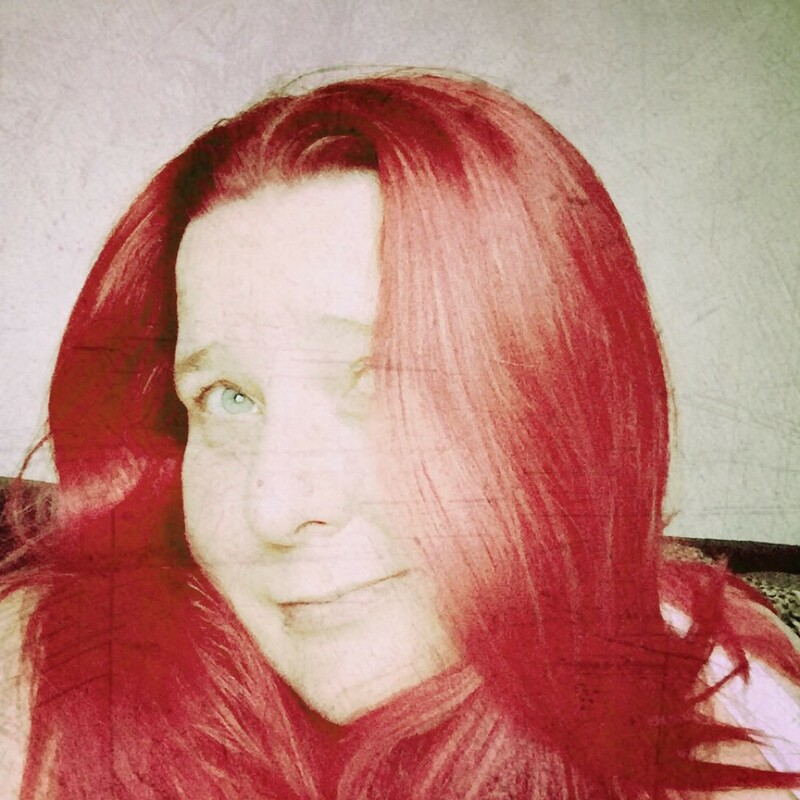 Writing in the first-person offers benefits and challenges to a writer. It allows you to really get inside the head of a character, exploring their brain’s innermost workings. The downside is you can only ever include what’s in their head. If your character hasn’t thought it, seen it or done it, it’s cheating to include it. When I was planning What She Left, I wanted to have my cake and eat it. I wanted to see the world as all my characters did. So I wrote the book from multiple first-person perspectives. This has always struck me as the most honest form of narration, because in reality we’re all the first-person narrators of our own lives. Our own take on events, our own view of the world and our narrative seems sacrosanct to us, but it runs alongside everyone else’s – at times diverging from theirs, at times converging with theirs. Some facts are inalienable, but we all see things differently – hence disputes over so-called ‘facts’. Hence why life contains so many grey areas. Such issues of perspective and reliability are as relevant in journalism as they are in fiction. When it comes to choosing which news to read, listen to or watch, we have to ask ourselves: Whose version of events is the most accurate? We have to ask ourselves: Who can we trust? We have to ask ourselves: are we looking for our existing world view to be reinforced? The internet has been a game-changer when it comes to the reliability of news. Anyone can share information now and, while this “democratisation” brings benefits such as quickening the dissemination of news and challenging the exclusive cabal of information providers, it also means we’re exposed to heavily subjective material. Many journalists are as passionate as ever about objectivity and balance, but as “consumers” of news it’s vital we ask who the narrator is of any particular piece of work. What’s their agenda? Because, however objective a piece purports to be, if you follow it back far enough, it’ll be the brainchild of someone with inherently subjective opinions. The solution, perhaps, is to develop broad tastes when it comes to journalism, as we’re always advised to with fiction. That at least gives us a counterbalance, exposing us to multiple sides of any particular argument. Remember, in journalism as in life, there’s no such thing as an entirely reliable narrator. Hence why fiction written in the first-person can feel so authentic. How far would you go to avenge the one you love? 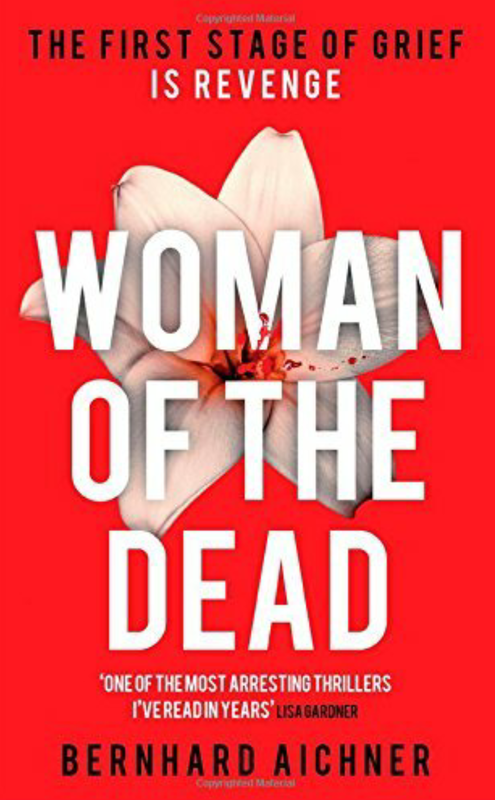 Some people really know how to do their job when it comes to attracting your attention to a book, and so when I saw some of the ‘blurb’ for Woman of the Dead I just had to pick it up…. It turned out to be an apt description for what I found to be a highly entertaining read. Blum is an intriguing character, beginning as a warm, kind-hearted and loving wife and mother, despite the harshness of her childhood, and her actions of the past. She is an accomplished business woman running her own funeral home, happy and settled with her policeman husband Mark and their two daughters. When Mark is killed in front of her eyes she is devastated. It is only when she discovers the ‘off the books’ investigation he was undertaking, amongst the papers in his study that she begins to believe that the accident was in fact murder. Then after beginning to investigate the crime Mark was looking into, she uses her skills, knowledge and the tools of her trade as an undertaker to exact brutal, bloody and violent revenge on those who were responsible. I loved the pace of the story, and the way that not all things go to plan for Blum, forcing her to not only re-evaluate her actions and decisions, but also the repercussions to herself and her family. There are some vile and horrible characters to discover with some extreme language to accompany them, and many of whom you would rather see brought to justice, and yet at the same time you are always backing Blum. If you want a break away from the usual gritty crime reads, or just fancy trying something different, Woman Of The Dead is ideal for that. It’s also the first in a trilogy, and I’m sure, like me, many of you will be keen to see what happens to Blum next. She loves her husband. She’s obsessed by a stranger. She’s living two lives. She might lose both . . .
There’s a lot that can be said about Second Life, although not without giving away too much of the plot, and like any story, it has both its positive and negative sides. On the negative side it’s a difficult book to get into, protagonist Julia comes across as the typical bored housewife, stuck in a rut of duty and care brought about by a combination of love and guilt, who, despite the unusual circumstances of connection, embarks on an affair. After a while you begin just begin to think, yeah, so what? On the positive side, once you push past that inital bout of indifference to Julia, get to the repercussions, and the see the way Watson cleverly spins events on their head, you can really begin to understand just how smartly layered Second Life really is. To me it was like lighting a firework, just as you are beginning to wonder if the fuse has gone out, it suddenly sparks into life, delivering a dazzling display with bang, after boom, after bang until the darkness around you is nothing but a smokey haze. With a clear understanding of the difficulties associated with an addictive personality, trading one addiction for another, and with an ending so distinctive you will either love it or hate it, this is one book that is a perfect pick for your book club. Prepare for a book hangover, this one will sit with you a while as you reconcile your thoughts, and will certainly create plenty of discussion amongst hardened book fans, particularly those who loved Before I Go To Sleep. Could a soul once sold, truly be redeemed? Luke is a true crime writer in search of a story, when he flees to Brighton after an explosive break-up, the perfect subject lands in his lap: reformed gangster Joss Grand. Now in his eighties, Grand once ruled the underworld with his sadistic sidekick Jacky Nye – Until Jacky washed up by the West Pier in 1968, strangled and thrown into the sea. Though Grand’s alibi seems cast-iron, Luke is sure there’s more to the story than meets the eye, and he convinces the criminal turned philanthropist to be interviewed for a book about his life. Luke is drawn deeper into the mystery of Jacky Nyes murder. Was Grand there that night? Is he really as reformed a character as he claims? And who was the girl in the red coat seen fleeing the murder scene? Soon Luke realises that in stirring up secrets from the past, he may have placed himself in terrible danger. For me a new Erin Kelly book is a much-anticipated event where as soon as I get hold of my copy I find quiet and comfortable space and lock myself away from the world so I can read in pure, uninterrupted pleasure, knowing when I’m finished, I will be able to close the book with a satisfying thud. Delightfully, The Ties That Bind, has done nothing to change that feeling either. As a reader, I love to see growth in a writer, and in her fourth book, for me, Kelly has clearly bloomed. It’s also a pleasure to say that the book hangover I suffered when I finished was purely because I enjoyed the story so much, rather than because the author had left strands of story thread dangling in the wind. There are some great characters in there too, I loved both gangster gone good, Joss Grand, and ex-journalist now cuttings library keeper Sandy. My particular favourite however, Was Jem, Luke’s controlling ex-boyfriend, who was so well written he really gave me the creeps at times. The plot was as tightly done as ever with plenty twists and turns I didn’t see coming and a couple I did. Enough to make me enjoy getting those parts right, while also managing to ensure I was completely wrong about where things were going at the same time. It’s a cracker of a read that I’d happily recommend to anyone looking for something refreshing in their crime fiction thrillers. I picked The Ice Twins up to read one night, just as I was getting into bed, which wasn’t one of my best ideas because 3 hours after picking it up, my eyes, despite being somewhat more droopy, were still firmly glued to the screen of my Kindle. A quick glance at my reading statistics showed that I was already beyond halfway through the book, I was amazed, but not at all surprised. It is simply brilliant. Following the death of one of their daughters, Angus and Sarah are a typically broken couple, creating more problems than they are solving by their lack of communication as they each grieve for a different child. Their remaining daughter is grieving too, and every day in the mirror must look at the face of the sister she lost. As the three of them stumble separately through the aftermath of the tragedy that haunts this family we discover that all was not as it seems. Although they were identical twins, Kirstie and Lydia were remarkably different children, and both Angus and Sarah had their own favourite. Is this why their remaining daughter claims to be the other? In turn, lies, omissions and the solitude of her new home have thrust Sarah into a world of confusion, could this affecting her daughter and be why Kirstie believes she is Lydia or is there a more sinister reason yet to be uncovered? Haunting, spooky, melancholy and with tragedy at its heart, this is not a book you want to read if you’re planning an early night, because even if you manage to put it down, The Ice Twins is one book that just won’t let you go.